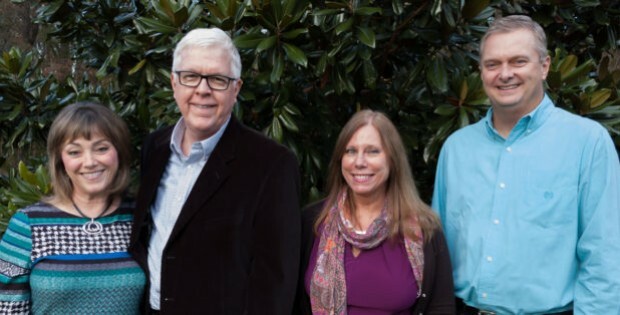 It’s true … you’re visiting the “Christian Counseling Associates of Raleigh” website. However, we want you to know that especially for intensives, our clientele hails from a much larger geographic area. We often find that motivated couples from the Carolinas, Virginia and even further away, don’t mind the drive to North Carolina’s “Research Triangle” in order to set aside a few days to repair their relationship. Our offices and our other regularly used facilities are within a half day’s drive or less of a number of major southeastern cities such as Greensboro, Winston-Salem, Charlotte, Asheville, Richmond, Norfolk, Virginia Beach, Hampton, Newport News, Charleston SC and Columbia, as well as communities such as Wilmington, Greenville, Jacksonville, Fayetteville, Petersburg, Lynchburg, Roanoke, and Myrtle Beach. We also find that Raleigh- Durham’s location — basically in the middle of the Atlantic seaboard, makes for a convenient, short flight from many cities in eastern half of the country. Several carriers offer direct or one-stop flights to our home base. We often find that the prospect of intensives is very encouraging for residents of metropolitan areas such as Washington DC, Baltimore, Philadelphia, Pittsburgh, New York City, Boston, Cleveland, Detroit, Columbus, Cincinnati, Indianapolis, Nashville, Knoxville, Chattanooga, Atlanta and Jacksonville, FL. We also find that with slightly longer flights (often direct), couples are eager to join us from residences in Florida, the Northeast, the Midwest and the Deep South. On occasions when there is interest in setting up an intensive, but difficulty in travelling to Raleigh, we like to explore the possibility of traveling to our clients. In these circumstances we may try to conduct two couples intensives back-to-back, set up a group intensive, or look to set up an event, conference or seminar nearby. If you, or someone you know, has a desire to talk further about our couples intensives services, please don’t hesitate to reach out, regardless of where you live. Since you are devoting your time to learning more about our services and the ways we may benefit you, please don’t allow geography to be a road block. Call 919-260-5830 or fill out our online form to the right to talk further.